Orthodoxy, whose priests stand with their backs to their congregation, leading a liturgy that is neither clever nor impassioned, but simply beautiful, like stone smoothed by centuries of rhythmic tides. It’s an austere ritual, in the sense of – there’s nothing new here; it’s sublime, in the sense of – creating a clearer view into Heaven. The priest can be any priest. Who he is, what he looks like, how he speaks, and what he thinks matter little. He hasn’t written the service that he officiates. It isn’t about him or his prowess. He’s an interchangeable functionary draped in brocaded robes, obscured by incense, and, as such, never points to himself, a flawed human, pointing ever and only to the Perfection of the Mysterious Divine. That is the role of every priest or preacher – invisibility, while making God seen. Western Rite Orthodoxy – is just Orthodoxy – expressed liturgically in the Western Rite. Theologically and morally it is no different from Eastern Orthodoxy expressed liturgically through the Eastern Rite. For a thousand years, from AD37-45 to AD1054-66, the people living in the British Isles and western Europe believed and worshipped God as an integral part of the undivided Orthodox Catholic Church. That Church was governed world wide by five Patriarchs, those of Constantinople (the Ecumenical Patriarch), Rome, Jerusalem, Antioch and Alexandria. 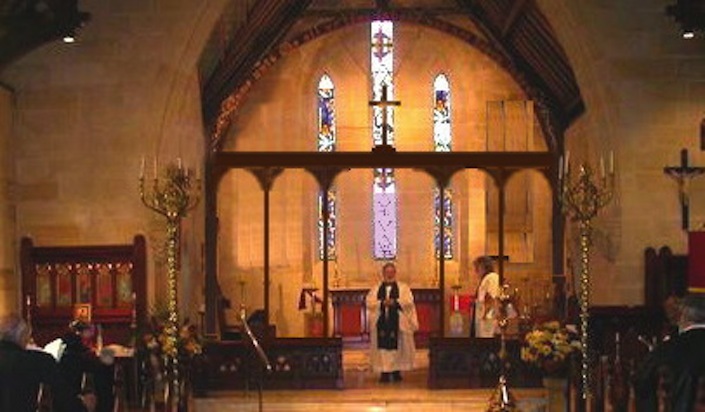 The Church in the British Isles and Western Europe were local expressions of the common Orthodox Christian Faith held throughout the world. Their great saints such as Saint Aidan, Saint David, Saint Patrick, Saint Alban, Saint Chad, Saint Cuthbert, Saint Boniface, Saint Dunstan etc., were all members of that Orthodox Catholic Church which continued for a thousand years. The initial split in the world wide Church occurred just after the beginning of the second millennium, when the Patriarch of Rome and his people parted from the majority of the Church led by the Ecumenical Patriarch and the other three Patriarchs. Throughout the second millennium, the group adhering to the Pope (Patriarch) of Rome, continued to split and further split until today there are some ten thousand separate groups or “churches”.The original Church, the undivided Orthodox Catholic Church, continues today, still led by the Ecumenical Patriarch of Constantinople and the Patriarchs of Antioch, Jerusalem and Alexandria, joined by the Patriarchs of Moscow, Georgia, Belgrade and Bucharest. During the past millennium, the Church has expanded, with Russia and the Slavic Churches having the largest number of Orthodox people in the world today. The Church founded by Christ and spread by His Apostles and Evangelists – the Orthodox Church – is rapidly expanding on all the continents and especially in the western countries. In AD 37, Saint Aristibule was sent to Britain from Tyre as first Bishop – recorded by Saint Dorotheus, Bishop of Tyre. This was six years before the Roman Empire invaded Britain. In those days his most likely point of entry would be Devon or Cornwall.The four synods of Pisa 1409, Constance 1417, Sienna 1424 and Basle 1434, mention that “the Churches of France and Spain must yield in points of antiquity and precedence to that of Britain as the latter Church was founded by Joseph of Arimathea immediately after the passion of Christ.” It is possible that these references are to Saint Joseph of Arimathea having financed Saint Aristibule and probably having accompanied him. In September, 1869, the Holy Synod of Russia authorised the use of the corrected text of the Western Rite Liturgy (the Liturgy of Saint Gregory) and Benedictine offices for use in England. This was the text of the pre-Tridentine Roman Liturgy. In 1904, Archbishop (Saint) Tikhon (Belavin) who was assisted by Bishop (Saint) Raphael (Hawaweeny) and Fr. (Saint) John (Kochuroff) petitioned the Holy Synod of Russia to permit the adaption of the services taken from from the Book of Common Prayer, for use by Orthodox people. In 1907, the Commission of the Holy Synod of Russia reported in favour of adaption of the services taken from the Book of Common Prayer and set out the criteria for adaption. The Holy Synod adopted the report. In 1921 Archbishop Tikhon (Belavin) was elected Patriarch of Moscow (+1925). And in 1921, Patriarch Dimitri of Serbia consecrated Fr Gorazd (Pavlik) bishop of the Western Rite Diocese of Moravia and Silesia. Patr. Dimitri’s co-consecrators were Metropolitan Antony (Khrapovitsky) of Kiev (later First Hierarch of the Russian Orthodox Church Outside of Russia) and Bishops Barnabas, Dositheus and Joseph. Bishop Gorazd was martyred by the Germans September 4th. 1941. Saint John (Maximovitch) of Shanghai celebrating the Western Rite with Western Rite Orthodox in Paris. In 1994 Saint Petroc Monastery was placed under the personal direction of His Holiness, Patriarch Ignatius IV of Antioch. And Archbishop Hilarion (Kapral) of Sydney ROCOR blessed Saint Petroc Monastery to the Western Rite and directed it to act in a missionary role, setting up Monastery missions using the Western Rite. 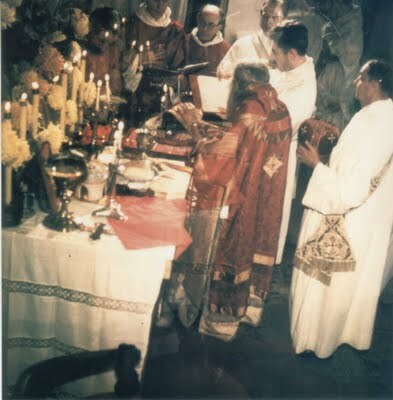 In 1998, with the blessing of Archbishop Hilarion, Saint Petroc Monastery proceeded with the task of applying the instructions in the 1907 report of the Commission of the Holy Synod of Russia and producing a complete Western Rite Prayer Book including the Divine Liturgy, the Offices, the rites of Baptism, Matrimony, Burial, Visitation of the Sick, Divine Offices, Great Litany, Rites of Holy Week, Liturgical Reception of a Bishop, Blessing of Water, Dedication of Objects, Blessing of a House, Grace Before Meals and other Prayers etc. The basis of the Book being the Sarum Missal which had its roots in the pre-Schism Church in the British Isles.In 2002 the completed Saint Colman Prayer Book was submitted to Archbishop Hilarion and in 2003 it was authorised by him.After two years of guidance by Saint Petroc Monastery, and others, the Anglican bishop Robert Waggener converted to Orthodoxy, was baptised, chrismated, and subsequently ordained Subdeacon, Deacon and Priest by Bishop Basil (Essey). He was assigned to run a Western Rite parish of people who converted with him. In 2009, the Primate of ROCOR (Archbishop Hilarion) after the Synod placed all Western Rite world-wide under his direct control, approved the Saint Eanswythe Mission in Bournemouth to be the first Western Rite mission in England. Fr. Michael the Abbot of Saint Petroc Monastery was placed in charge, after consultation, Anglican bishop Alastair Price converted to Orthodoxy (ROCOR). Today Western Rite Orthodoxy exists in the Serbian Orthodox Patriarchate, the Romanian Orthodox Patriarchate, Antiochian Orthodox Patriarchate and in the Russian Orthodox Patriarchate with parishes, missions and monasteries in North America, the United Kingdom, Germany, France, Switzerland, Australia and New Zealand.